After a successful festival debut, Waking Sleeping Beauty will begin its theatrical run with limited releases in New York, Los Angeles, Chicago and San Francisco on March 26, 2010. 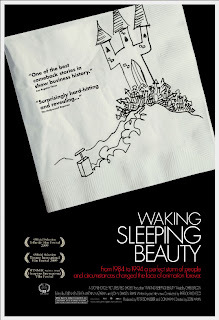 Directed by Don Hahn and produced by Peter Schneider and Don Hahn, Waking Sleeping Beauty was an Official Selection at the 2009 Telluride Film Festival, Toronto International Film Festival and winner of the Audience Award at the Hamptons International Film Festival. Waking Sleeping Beauty is no fairy tale, as it chronicles the time from 1984 to 1994, when a perfect storm of people and circumstances changed the face of animation forever. It is a story of clashing egos, out-of-control budgets, escalating tensions… and one of the most extraordinary creative periods in animation history. In New York, the film will open at the Landmark Sunshine. In Los Angeles, the film will open on two screens, at the AMC Century City and AMC Burbank. and in San Francisco at the Landmark Embarcadero—all on March 26, 2010. 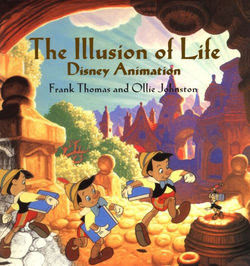 Director Don Hahn (producer of Beauty and the Beast and The Lion King) and producer Peter Schneider (former chairman of the studio), key players at Walt Disney Studios feature animation department during the mid1980s, offer a behind-the-magic glimpse of the turbulent times the animation studio was going through and the staggering output of hits that followed over the next 10 years. Artists polarized between the hungry young innovators and the old guard who refused to relinquish control, mounting tensions due to a string of box-office flops, and warring studio leadership create the backdrop for this fascinating story told with a unique and candid perspective from those that were there. Through interviews, internal memos, home movies and a cast of characters featuring Michael Eisner, Jeffrey Katzenberg and Roy Disney, alongside an amazing array of talented artists that includes Steven Spielberg, Richard Williams, John Lasseter and Tim Burton, Waking Sleeping Beauty shines a light on Disney animation’s darkest hours, greatest joys and its improbable renaissance. Waking Sleeping Beauty is a Stone Circle Pictures/Red Shoes Production. 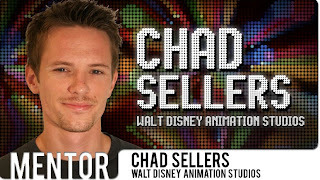 Last month I was the featured mentor in the Animation Mentor newsletter. You can read my full interview HERE.